Friends of the Forest Preserves put together a helpful page about the Path to Stewardship program. The Path to Stewardship is open to any volunteer wanting to increase their dedication to restoring healthy nature. Field experience, classes, and mentoring give you the qualifications you need to become a leader. Regardless of your age, schedule, or fitness level there are ways you can contribute! Though the requirements say you need 30 volunteer hours, we may be able to get a current steward to vouch for you. Report as many hours as you can using their online system, and let us know if you run into any problems or are short hours. Becoming a steward just requires those three classes + time as an apprentice under a current steward. Other training FPCC offers include using a brushcutter, chainsaw safety and use, first aid/CPR, and herbicide use in natural areas, including licensing. These are not only helpful (or sometimes required) classes as a volunteer, but are also opportunities to gain skills looked upon highly for certain jobs in this field. The FPCC’s Next Century Conservation Plan calls for at least 400 stewards to guide thousands of volunteers to restore and maintain the ecological health of 30,000 acres of land in Cook County within the next 25 years…will you be one of them? The flyer has a list of resources included. 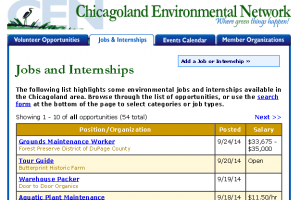 If you’re looking for a job, the oft-refreshed job board page for Chicago is the Chicagoland Environmental Network website. Although your best way to finding a job is likely through networking, the majority of regional conservation-related jobs are posted on this website. Wild Things Community, Find Your Spot: Engage with nature at a preserve you love! 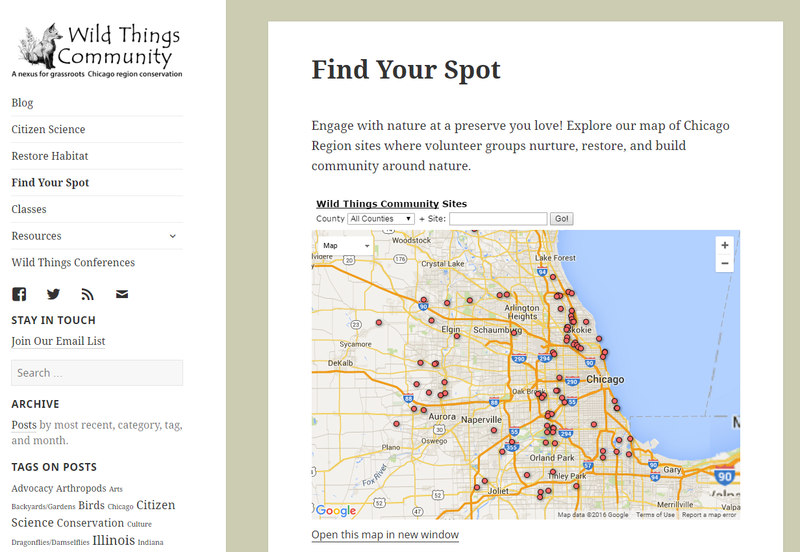 Explore the Wild Things Community’s map of Chicago Region sites where volunteer groups nurture, restore, and build community around nature. 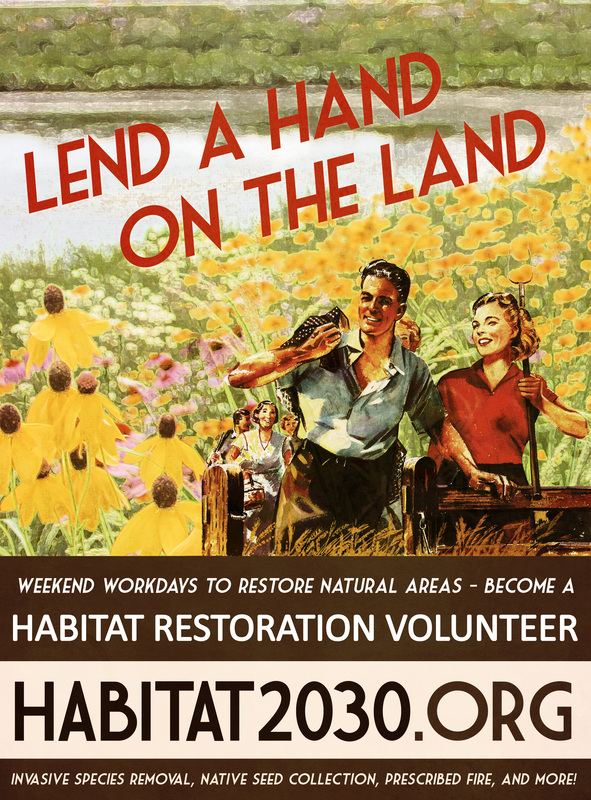 Download a flyer to put up at your local coffee shop, outdoors store, or other locale to spread the word about Habitat 2030 (PDF or JPG).